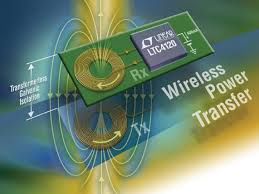 Top band (160m - 1.8MHz) DX Operation: Texas company plans 160m band Wireless Power Transfer ?! Texas company plans 160m band Wireless Power Transfer ?! Texzon Technologies apparently aim to conduct testing in the spectrum range from 1710 kHz to 1900 kHz with an input power of less than 5 kW and EIRP limited to 100 watts or less. The FCC license permits an ERP of 1000 watts. The submission to the FCC listed Michael Taylor KG5IUC as being involved in the project https://apps.fcc.gov/els/GetAtt.html?id=202374&x=.